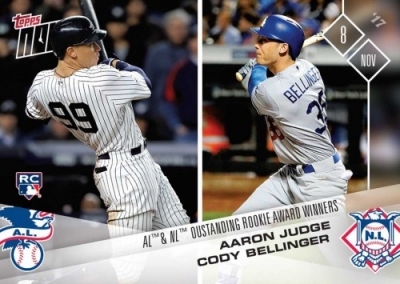 Chronicling events following the 2017 MLB postseason, 2017 Topps Now Off-Season Baseball continues the brand's real-time formula. 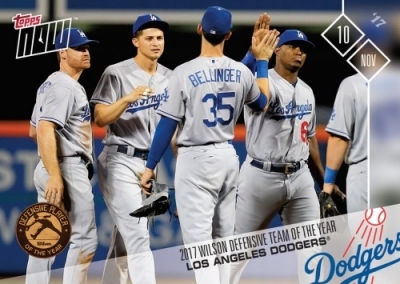 The online exclusive highlights award winners, team celebrations, and winter trades, taking collectors up to the start of the 2018 season. 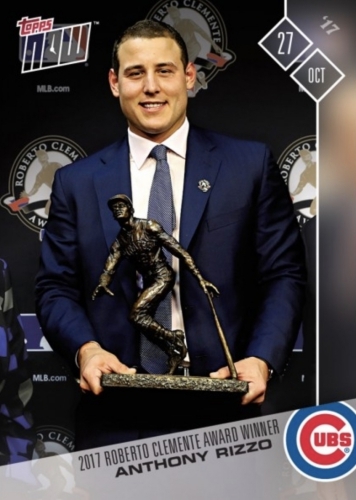 Even though the set actually began during the 2017 World Series with the Hank Aaron Award and Roberto Clemente Award winners, 2017 Topps Now Off-Season Baseball does not add to the main 2017 Topps Now MLB checklist. 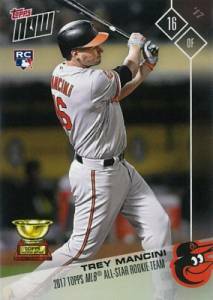 Rather, the offseason cards begin a new line of numbering with the #OS prefix. 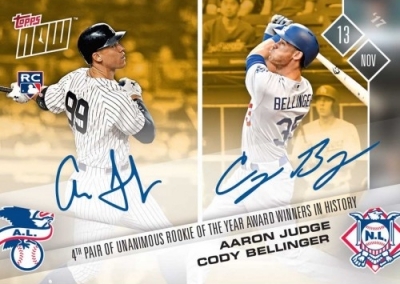 Aside from the numbering, 2017 Topps Now Off-Season Baseball utilizes the same design and pricing tier as the main release. 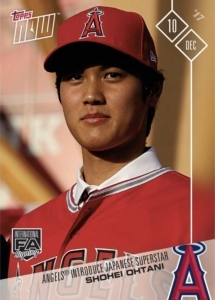 Each base card is issued individually for $9.99 with options to purchase in bulk for a discount via the Topps Online Store. 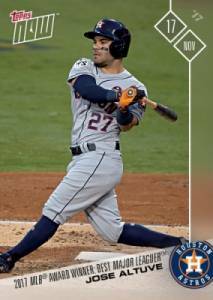 Buy 2017 Topps Now Off-Season Baseball Cards on Topps. 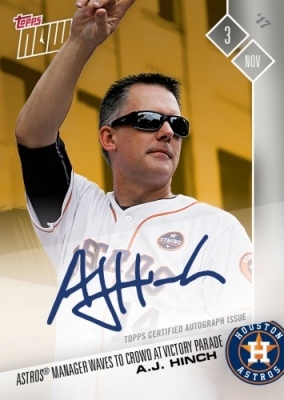 Although more expensive than the base cards, limited autographs for select players are released with a predetermined print run. 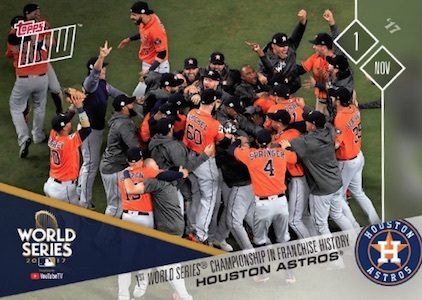 Additionally, collectors can receive a special YouTube TV Topps Now World Series card as a free gift with every order through December 31. 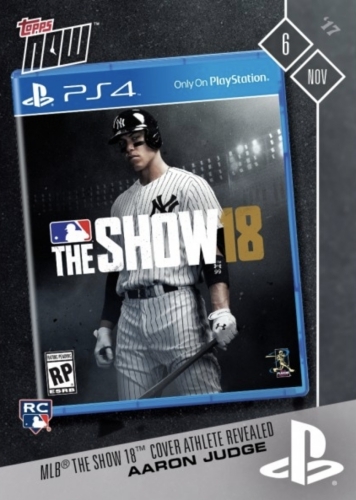 While not numbered as part of the offseason set, Topps also issued a Now card celebrating the selection of Aaron Judge for the cover of the PS4 game MLB The Show 18. 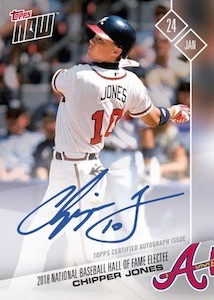 Be sure to check back as 2017 Topps Now Off-Season Baseball continues throughout the winter. We will update the checklist with new cards, any additional set info, and final print runs. 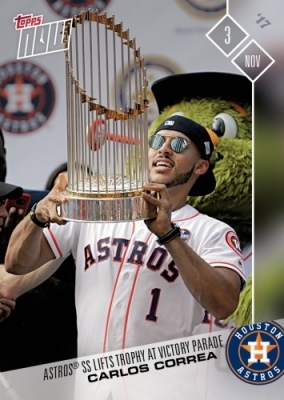 2017 TOPPS NOW #OS-6 GEORGE SPRINGER PARADE HOUSTON ASTROS - ONLY 446 MADE SSP! 2018 Topps Now OS32 Yadier Molina Juan Soto JT Realmuto Ronald Acuna Jr J.T. 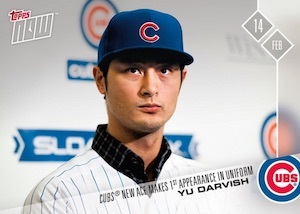 Jr.
Shop for available Topps Now Off-Season Baseball cards on Topps. Announced print runs (PR) listed when known. *Autograph Versions*: Base Auto #/99, Blue #/49, Purple #/25, Red #/10, Orange #/5, Gold 1/1. Cards initially sold as a complete set. Autograph subjects noted. * Full set details. Award Finalist cards had an extended sales period. 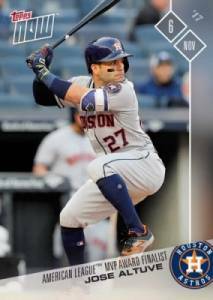 Take a look at additional information about 2017 Topps Now Baseball with our other set profiles. 2018 Vladimir Guerrero On-Card Auto HOF!! 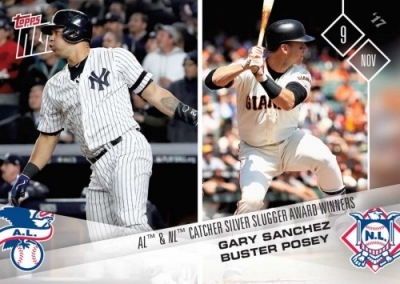 Topps Now 94 99 Hall Of Fame! !